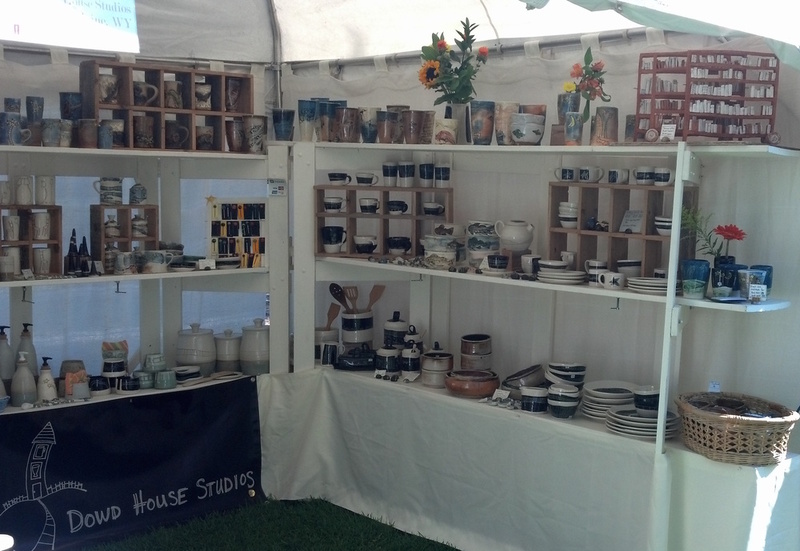 This is the first year Dowd House Studios participated in both of the summer art fairs in Jackson Hole. Despite all my planning, this one really snuck up on me! 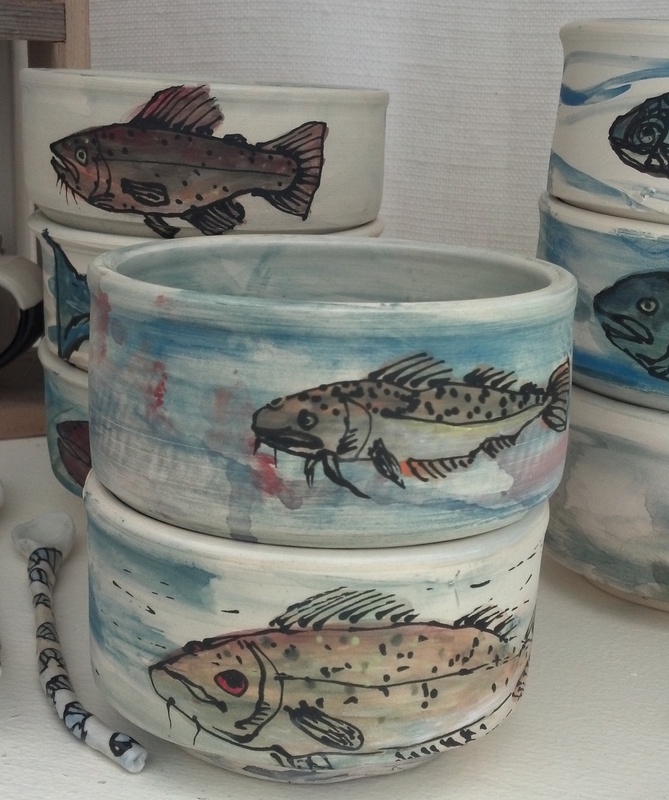 Our booth is a fun mix of utilitarian pottery by both Sam and me, with a few quirky sculptures thrown in. I like to think of our pottery as useful and interesting solutions to everyday problems (kitchen helpers) as well as enhancements for our daily rituals (coffee & tea breaks). 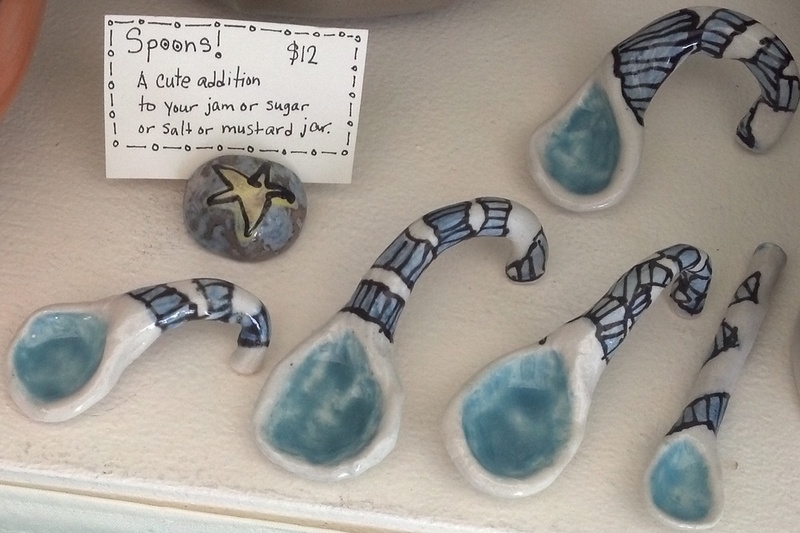 Sam has a variety of pottery that has been soda fired (more on that next week! ), funny animals as well as UFO's playing out a variety of scenarios (delivering the mail, observing cows and dropping off alien passengers for beach vacations). 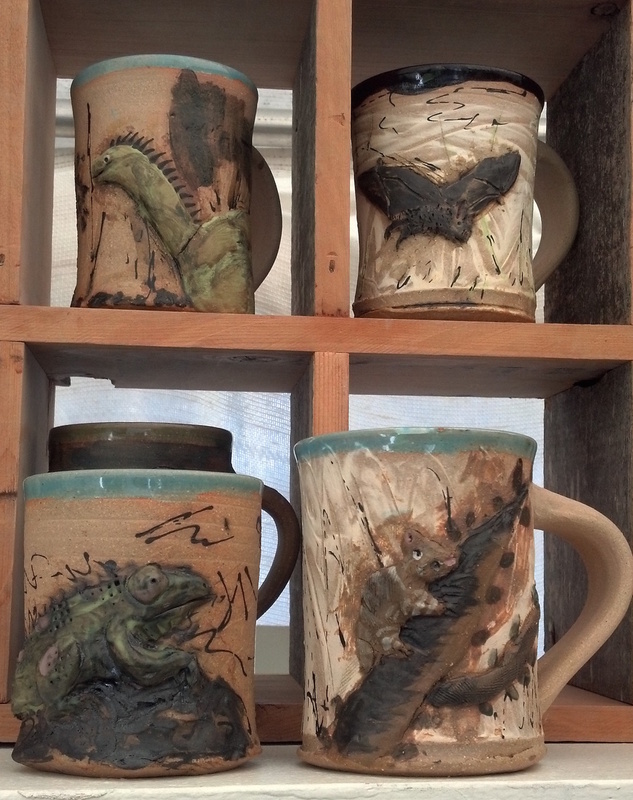 We both like to unveil new work at fairs, Sam's animal mugs were fresh from the kiln and I finally had all the parts for my new children's pottery sets! Little mugs, bowls and plates made especially for little hands, and of course, featuring stars. This time I've included a few terra cotta bookshelf sculptures in our booth. Each shelf is stacked with lots of tiny books with lots of detail. For more photos and a little info on these pieces click Here. We have a short break to restock and get caught up on other projects. Our next fair will be Sunday, September 11 on the Town Square in Jackson, WY: Takin' it to the Streets.